Yes this was walnut wood. Let me know if you have any other requests. are these simple mirror sheets? are the edges finished in any way or just plain and simple look? 30. 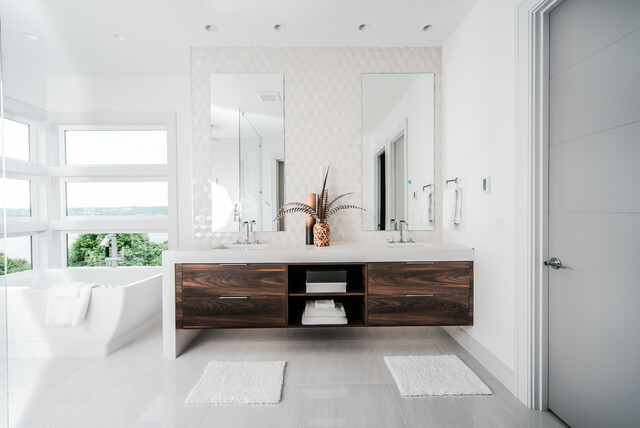 Location: Seattle, USAWhy we love it: White and pale-grey walls and floor provide the perfect backdrop for the richly grained timber vanity, allowing it to stand as an eye-catching feature.